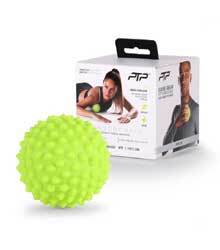 The Sensory Ball will assist you to relieve pain in your back, neck, shoulders and the arches of your feet. Using your own body weight, you can apply varied pressure and thus suit your own relaxation needs. The protrusions will help you keep the ball in place and target specific problem areas. Please note: This product is currently only available in Lime.